We started the long weekend with a brunch at this place. We took a table outdoors since the weather was lovely. The staff was very attentive and courteous and the service was quick too. 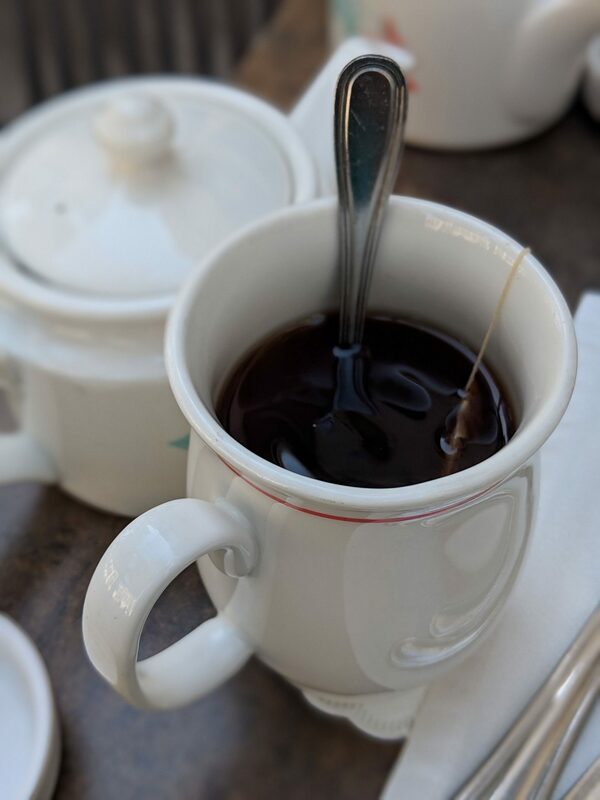 Tea – Served in a pot and with a tea bag. The water was mildly flavoured probably with Jasmin(not entirely sure) but it tasted really nice. 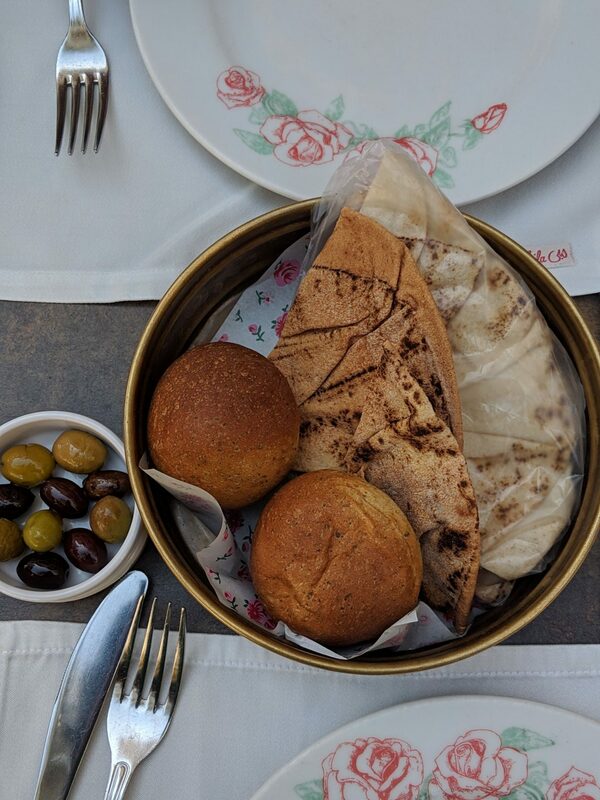 Bread basket with olives – The assorted bread basket was perfect till we waited for our food to arrive. 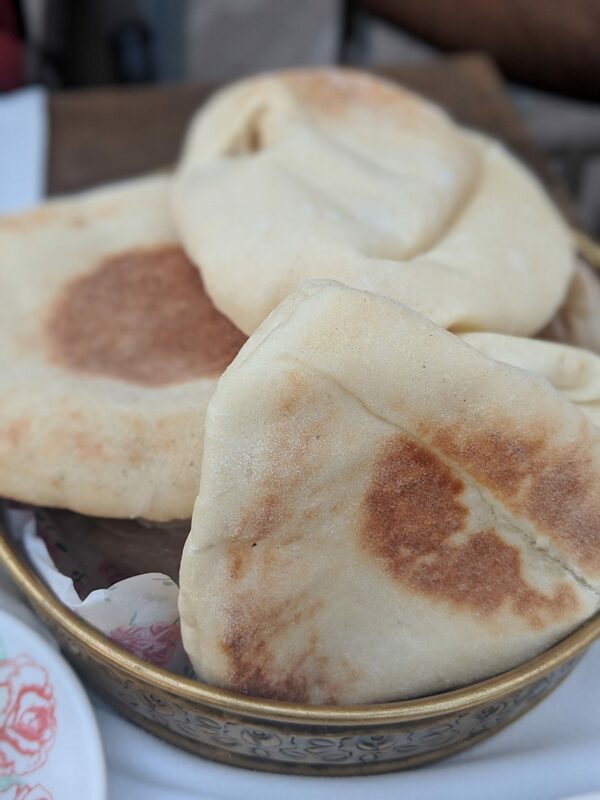 Had some very good varieties of bread. 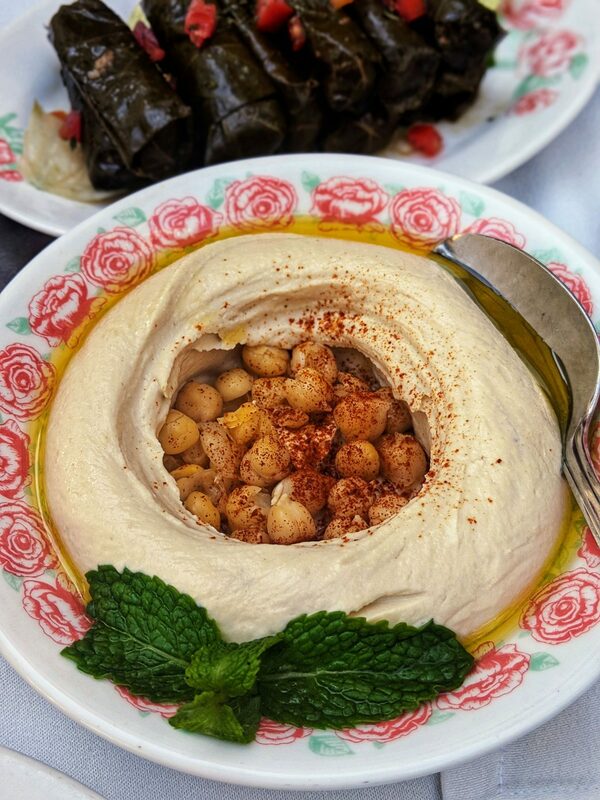 Hummus – Loved the hummus. 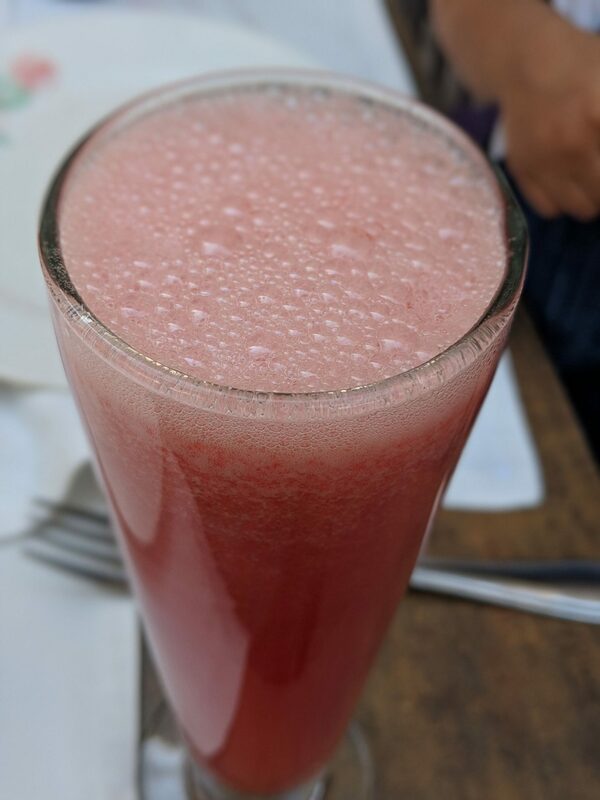 Very smooth and flavourful. 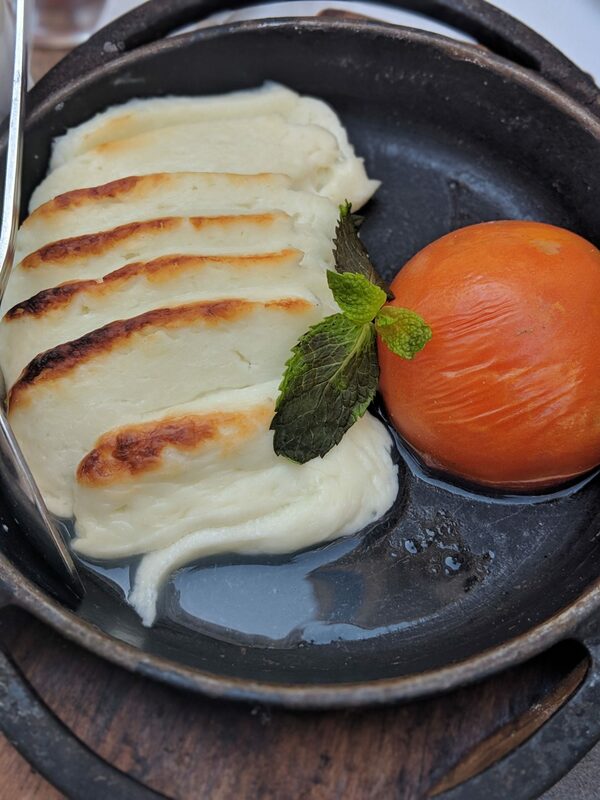 Grilled Halloumi – The Halloumi was grilled to perfection. We really liked it a lot and our little one loved it – she had most of it! 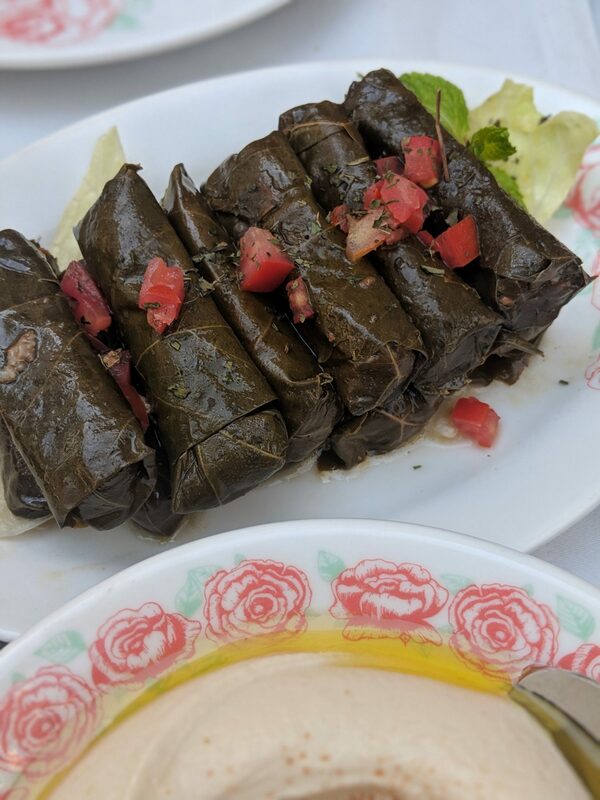 Stuffed vine leaves – This was our favourite dish. These stuffed vine leaves were the best we’ve had – so delicious! 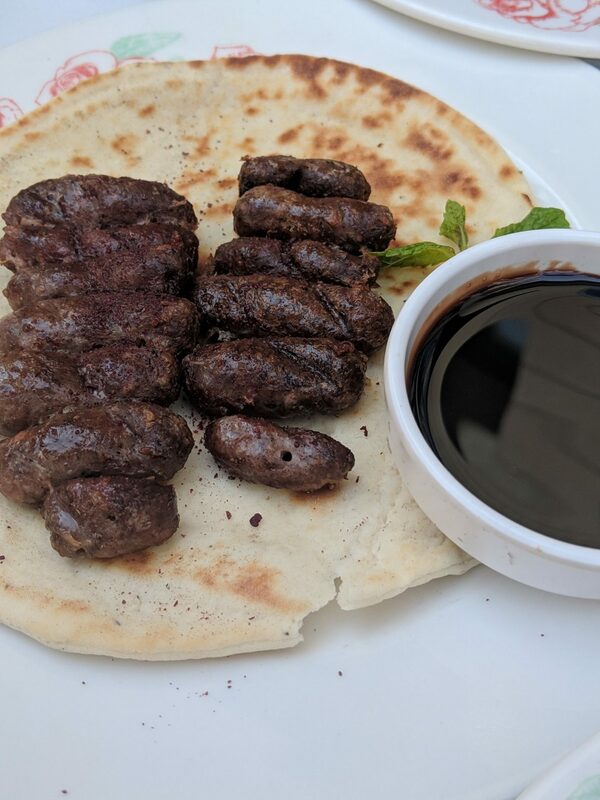 Grilled Lebanese sausages with pomegranate molasses – The sausages were good and went well with the accompanying pomegranate molasses. 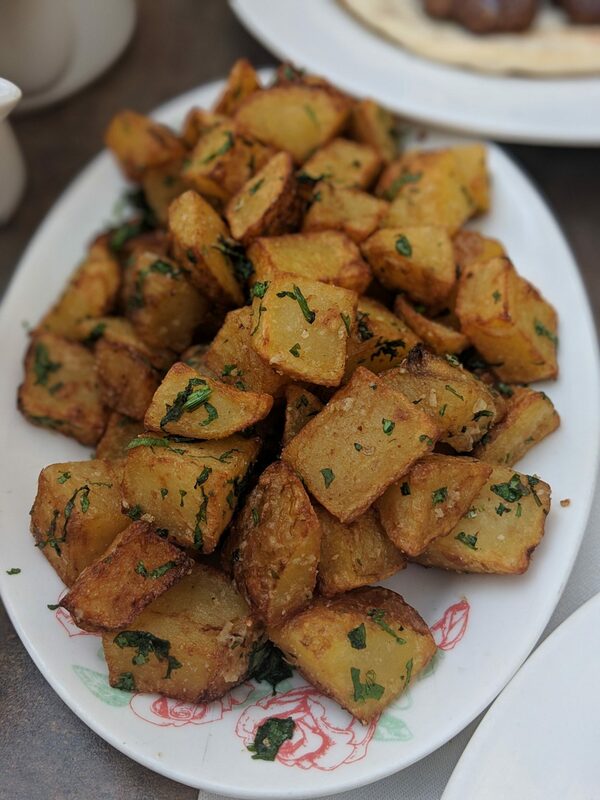 Batata Hara – Crispy potato with coriander – This was a little bit disappointing for me as I’ve had better but my other half liked it. Fresh bread – Our server got us freshly baked bread which was super soft and delicious! Would definitely like to visit this place again. 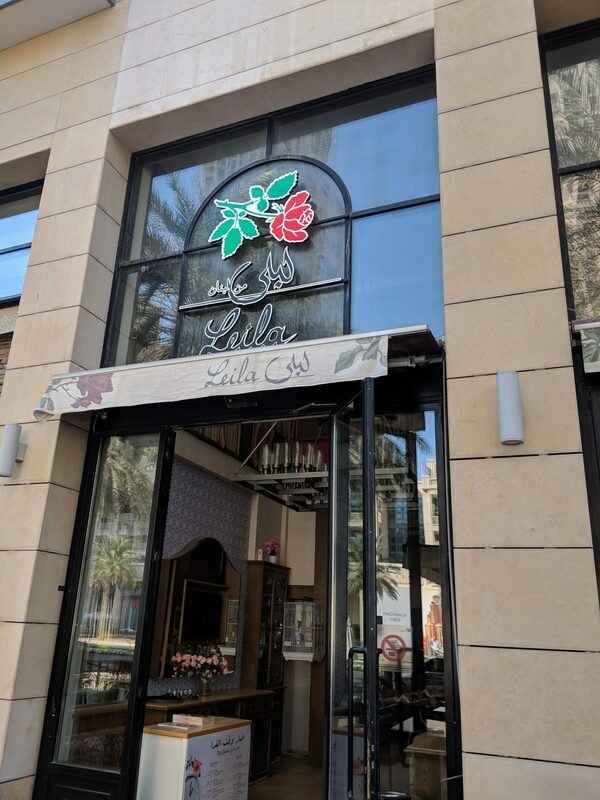 We liked the ambience here and would like to try more dishes from the menu.